Do you happen to fall into a rut? Often times we get stuck in cycles that may not be beneficial for us – either thinking the same negative thoughts, or falling into the same patterns within our lifestyles. 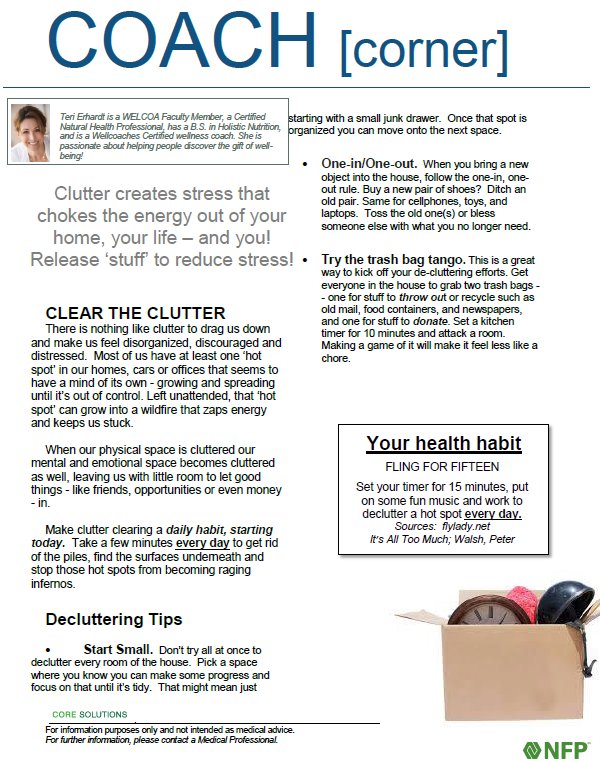 Summer is a fun time to break out of the bad habits that we fall into and “clear the clutter” both mentally and physically. Tired of that basket full of paperwork at home? Does your office desk drawer need a purge? 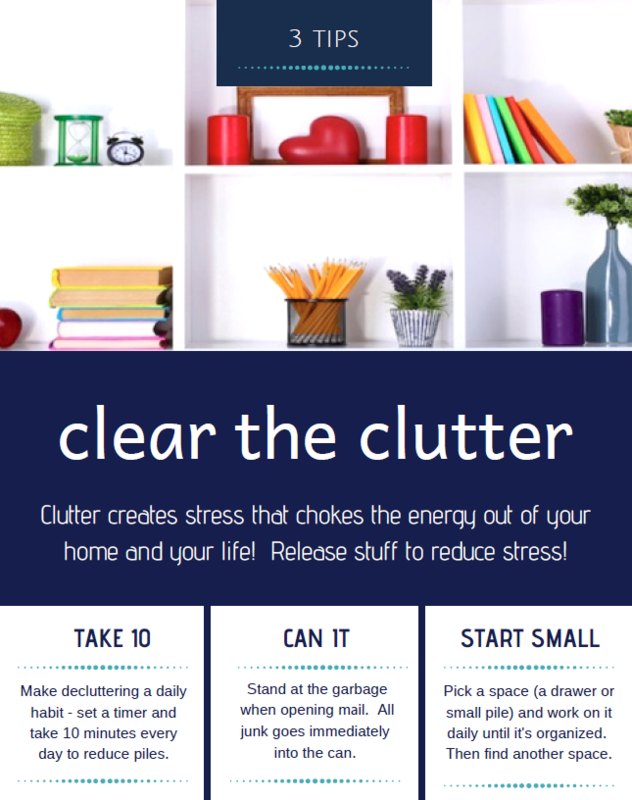 Take a few minutes to clear the clutter and share items with others that you no longer need. Feel refreshed and ready to start new dialogues and out of the box ways to live our lives.